Japan’s Dai-ichi Life Insurance Company Ltd said on Tuesday it has agreed to buy an additional 18% stake in its Indian insurance joint venture for Rs 540 crore (about $80 million). The Japanese company will now hold 44% of Star Union Dai-ichi Life Insurance Company Ltd, it said in a statement. State-run Bank of India, which sold the stake, will own 30% stake of the insurance joint venture while the third partner, state-run lender Union Bank of India, will continue to hold 26%. The transaction values the Indian insurer around Rs 3,000 crore. The move comes after the Indian government, in March last year, allowed foreign companies to hold a 49% stake in Indian insurers from 26% permitted earlier. The move was aimed at attracting long-term capital and improving the overall investment climate. Dai-ichi Life joins foreign investors from Australia to Canada in raising stake in their Indian insurance joint ventures. Canada’s Sun Life Financial Inc, British insurers Bupa Plc and Aviva Plc, Japan’s Nippon Life and Tokyo Marine, French firm Axa and Australia’s QBE Group and Insurance Australia Group Ltd are among the companies that have raised or are planning to raise their stake in their Indian insurance JVs. Sun Life Financial agreed to increase its stake in its Indian joint venture with the Aditya Birla Group for Rs 1,664 crore (about $250 million then) in December last year while Germany’s Munich RE decided to raise its holding in Apollo Munich Health Insurance Company Ltd in January. In another major development in the insurance sector, Housing Development Finance Corporation Ltd and Max Financial Services Ltd said last week they have agreed to discuss a possible merger of their life insurance businesses in a development that could create India’s largest private-sector life insurer. 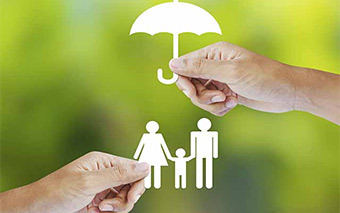 India’s crowded life insurance industry has 24 insurers and the sector is dominated by state-run Life Insurance Corporation. SBI Life, ICICI Prudential Life Insurance and HDFC Standard Life Insurance Company are the top three private-sector life insurers by premium income. Star Union Dai-ichi Life was incorporated in 2007 and started operations two years later. The joint venture agreement had an option for Dai-Ichi Life to purchase an 18% additional stake as and when the law permitted higher foreign holding, Bank of India said. The Japanese company said its decision to increase its stake in the company will give it rights to nominate more directors on the company’s board.